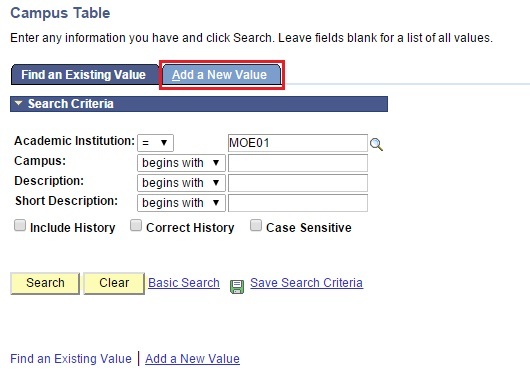 User will be directed to the Campus Table search page. User will be directed to Campus Table Page. 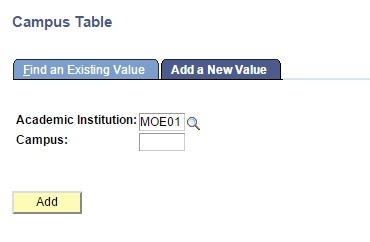 Click on Add a New Value tab. User will be navigated to the Add a New Value page. Enter the Description which is the full name of school. Enter the Short Description which is the first letter of the school name. 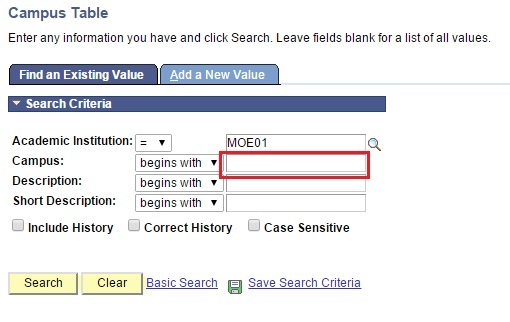 Click on the lookup button and select the Location Code. Location Code should be the same as Campus Code. 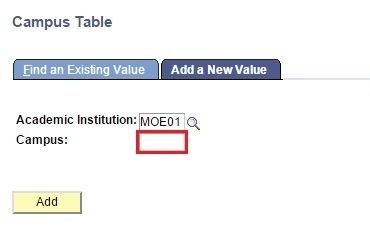 On Valid Campus Locations table, click on the lookup button and select the Location Code. Click on Save button to save the record. Click on ‘+’ button to update the details. 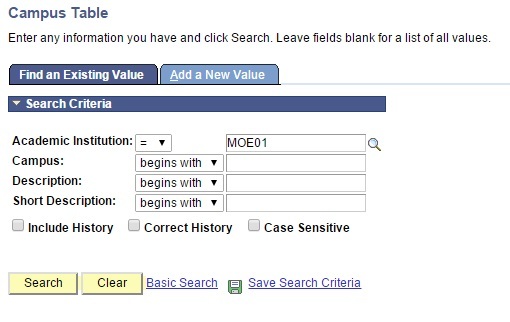 Click on the dropdown menu and select the Status. Set Status to Active if school is operational and Inactive if school is closed down.